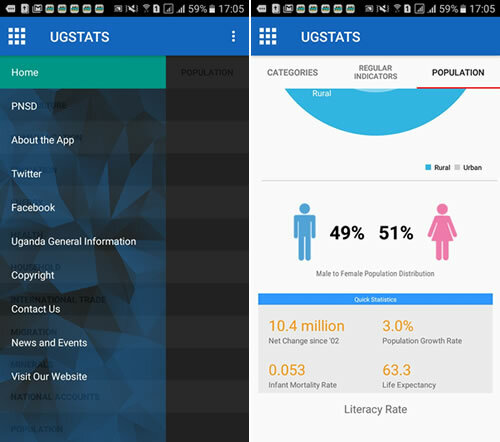 Download the UgStats mobile app for fast, free easy access to official statistics. Over 100 most requested statistics from different data categories, including Population, Prices, Labour, Agriculture Education, Trade, GDP and others are available for access via this mobile app. The data are updated when released, and each time you launch the app, the data will also be updated to your mobile devices to reflect the latest statistical information. You can also receive notifications on latest data updates for your preferred indicators as soon as they are released. The UgStats mobile app is available for free downloading on mobile devices running on Android platforms. Download the app and have the latest key official statistics today!